When it comes to our little ones, what they eat now will define two very important outcomes for decades to come. The first outcome is obvious, their physical and mental growth. The second is a lot more subtle, it will define their ability to use their physical and mental faculties to fulfil their potential in any field. Given the importance of nutrition, especially for two to six-year-olds, we should be helping them develop simple but effective habits that will stay with them during the challenging years. over the stove for an hour or more, in the middle of the morning rush ? is a homemade porridge which is rich in protein, dietary fibre and complex carbohydrates. Since it’s made with grains, nuts and millets it makes a very healthy and filling meal. eat and enjoy this breakfast together, which just makes the mornings simpler. 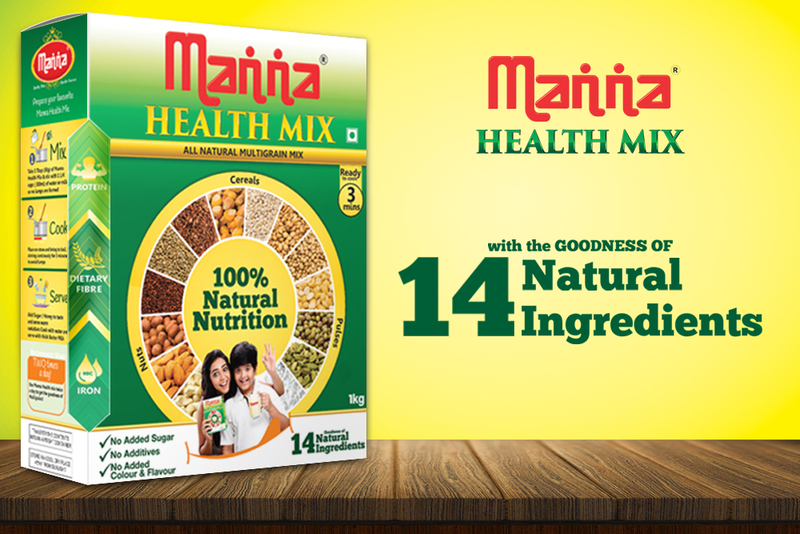 nutritious food that fulfils the daily health requirements of every member of your family. need to enjoy their morning, whether at home or school. digestive system, eye and heart health. 2. Stir till there are no lumps. 3. Place on the stove and bring to boil, stir continuously (to avoid lumps) for 3 minutes. 4. Add raw honey, fruits or organic jaggery to taste. 6. Variation: Cook with water and serve with thick organic A2 cow buttermilk and salt. Please note : The product contains wheat and soyabean ( although chemical free). Its best to avoid consumption if you are gluten intolerant or have a weak digestive system. Join Holistic Health Store for more healthy recommendations.